Draft: 2003, Atlanta Braves, 3rd rd. 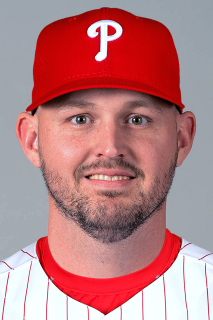 November 15, 2016 Philadelphia Phillies released LHP Matt Harrison. November 3, 2016 Philadelphia Phillies activated LHP Matt Harrison from the 60-day disabled list. November 2, 2015 Philadelphia Phillies activated LHP Matt Harrison from the 60-day disabled list. July 4, 2015 Texas Rangers activated LHP Matt Harrison from the 60-day disabled list. July 1, 2015 Texas Rangers sent LHP Matt Harrison on a rehab assignment to Round Rock Express. June 22, 2015 Texas Rangers sent LHP Matt Harrison on a rehab assignment to Frisco RoughRiders. June 3, 2015 Texas Rangers sent LHP Matt Harrison on a rehab assignment to Round Rock Express. November 3, 2014 Texas Rangers activated LHP Matt Harrison from the 60-day disabled list. June 10, 2014 Texas Rangers transferred LHP Matt Harrison from the 15-day disabled list to the 60-day disabled list. April 27, 2014 Texas Rangers activated LHP Matt Harrison from the 15-day disabled list. April 3, 2014 Texas Rangers sent LHP Matt Harrison on a rehab assignment to Frisco RoughRiders. November 4, 2013 Texas Rangers activated LHP Matt Harrison from the 60-day disabled list. August 8, 2013 Texas Rangers sent LHP Matt Harrison on a rehab assignment to Round Rock Express. July 31, 2013 Texas Rangers sent LHP Matt Harrison on a rehab assignment to Frisco RoughRiders. May 25, 2013 Texas Rangers transferred LHP Matt Harrison from the 15-day disabled list to the 60-day disabled list. Lower back strain. April 10, 2013 Texas Rangers placed LHP Matt Harrison on the 15-day disabled list retroactive to April 7, 2013. Lower back strain. November 2, 2010 Texas Rangers activated LHP Matt Harrison. October 6, 2010 Texas Rangers reassigned LHP Matt Harrison to the minor leagues. July 10, 2010 Texas Rangers recalled Matt Harrison from Oklahoma City RedHawks. June 30, 2010 Texas Rangers optioned Matt Harrison to Oklahoma City RedHawks. May 29, 2010 Matt Harrison roster status changed by Texas Rangers. May 24, 2010 sent LHP Matt Harrison on a rehab assignment to Frisco RoughRiders. May 12, 2010 Texas Rangers placed LHP Matt Harrison on the 15-day disabled list retroactive to May 7, 2010. Left biceps tendinitis. November 13, 2009 Texas Rangers activated LHP Matt Harrison from the 60-day disabled list. October 6, 2009 LHP Matt Harrison assigned to Surprise Rafters. August 2, 2009 Texas Rangers transferred LHP Matt Harrison from the 15-day disabled list to the 60-day disabled list. July 22, 2009 sent LHP Matt Harrison on a rehab assignment to Frisco RoughRiders. June 28, 2009 Texas Rangers placed LHP Matt Harrison on the 15-day disabled list retroactive to June 24, 2009. Left shoulder inflammation. June 17, 2009 Texas Rangers activated LHP Matt Harrison from the 15-day disabled list. June 6, 2009 Texas Rangers sent LHP Matt Harrison on a rehab assignment to Frisco RoughRiders. May 29, 2009 Texas Rangers placed LHP Matt Harrison on the 15-day disabled list retroactive to May 26, 2009. Left shoulder inflammation.